I was out walking my dog this morning, as I do almost every morning, thinking out loud and talking to myself about whatever was on my mind. As I was having this conversation with myself I became aware of how much I enjoy these morning "walk and talks"! Then it hit me - who was having the conversation? The answer that came to my mind was, "The Holy Trinity of Me, MySelf, and I"! I started to laugh, but then I realized how this awareness could add real value to our lives. Who is this "Me" "MySelf" and "I"? I would define "Me" as "Who I Really Am". For some, this might mean God or Source. Others might find that pretentious, and prefer to use the term Higher Self. 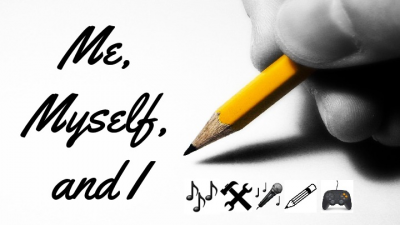 "MySelf" is what I would refer to as my Soul, or what I call the perfect blueprint for my physical life experience. "I" is my identity, who I think I am, and the physical manifestation of the life written in the blueprint of my Soul. In other words, when I find MySelf having a conversation with Me, what is actually happening is a three way communication between who I think I am, my Soul, and Who I Really Am. The point is, if I can have these conversations, anyone can. All it takes is the awareness of who you really are, keeping your heart open to connect with your soul, and remembering that who you think you are is actually a physical manifestation of what is written in your soul, given substance with feeling in the mind. Thanks for letting me share my thoughts and experiences with you. If you find this adds value to your own life, I would love to hear about it! Please go to Facebook or visit my blog at Ilanamoss.com and leave a comment. Or you can reply to this email if you prefer to remain private.